To provide ease in accessing the information about Canon EOS-1D Mark IV Manual below, we provide Table of Content. By using thins Table of Content, you can directly go to the certain part of this article simply clicking on the sub topic below. The fact that a manual is really important for a product, especially for electronic product, is really true. With the manual book, user will be able to get a lot of information related to the product itself. Therefore, for users who want to learn about their product better, the manual will be the best reference. Not only for user actually, but a manual book is also important for enthusiast who want to know about this product deeper. Here, the information related to the specification, instruction, camera parts, operation, and others will be well provided. So, referencing to the manual will be the best way to tke. These are the reason of why we mean to provide the Canon EOS-1D Mark IV Manual. With this manual, we hope there will be many people are helped in understanding this canon camera product. It is always stated in the previous article that before directly jumping to the Canon EOS-1D Mark IV Manual, we will talk about the specification of this product first. And to begin with, we choose to talk about the most obvious thing first, the Look. Canon EOS-1D Mark IV has the 2-grip form factor retained from the original EOS-1D. The design of EOS-1D Mark IV has the same consistency with the previous one. However, unlike the previous ones, EOS-1D Mark IV has so many things prove. Further, Canon EOS-1D Mark IV is a large camera because there is a battery with high capacity and a grip which is integrated in the camera. The dimension of this camera is 6.1 x 6.2 x 3.1 inch and the weight is 1180 grams. And the integrated grip existed for a reason. It is because this EOS-1D Mark IV was made for professional uses. So, it needs strength and reliability. When EOS-1D Mark IV is dropped, there will be no failed mechanical coupling. It happens because the strength that this camera has. EOS-1D Mark IV is designed for serious professional photographers. The control layout is still the same with the previous 1D series. There is a 3-inch LCD monitor that has approximately 920,000 dots. The LCS is not in plastic anymore. It is now used the reinforced glass in order to prevent any force applied. As we all know, Canon is always be successful in impressing their fans, especially the professional photographers or the advanced amateur photographers. And now, they continue to impress them again with this fifth generation of 1D series. This is the canon’s speed-orientated range of DSLRs that would give the impressive performance to the users. And talking must be understood that the spec of this camera is definitely not a joke. It could be proven in the Canon EOS-1D Mark IV Manual, which tells us the detail of the specification itself. To give you the better view about this camera product, here we enclose the introduction video of it. With this video, you will be able to understand this product better. this is made by official account of Canon USA in Youtube. And since this video comes from the official account of the manufacturer itself, we can bet that the information here is reliable. In the previous products from 1D series, there are some issues that affect performances. In this Canon EOS-1D Mark IV, that issue and some other major issues are already solved. Also, EOS-1D Mark IV has the revised AF point selection method. So, you will find no such problems anymore. EOS-1D Mark IV has the ability to shot at 10 fps. You will have the increased pixel count in EOS-1D Mark IV. The increased pixel is 16MP. 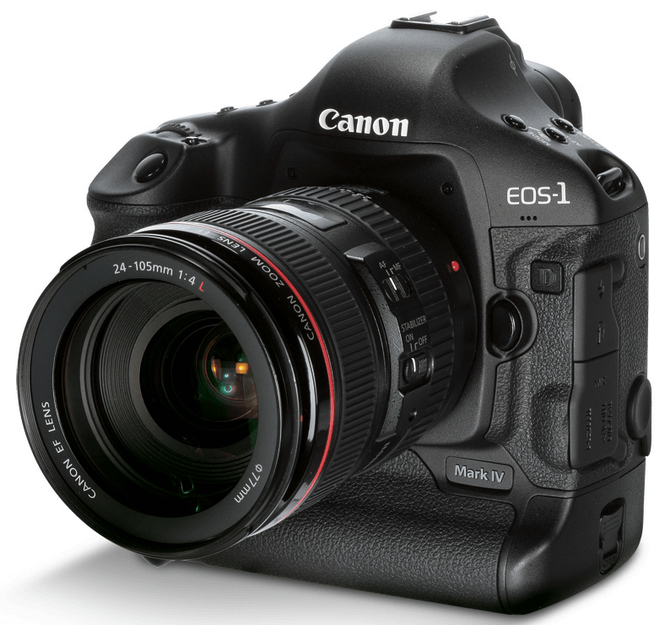 What’s great in EOS-1D Mark IV is the solid construction. It gives you the good image quality for your satisfactory. The ISO range of this EOS-1D Mark IV is wide. That is good news for a photographer. But some people feel that the costs are really high. The size and weight could be an issue too in this EOS-1D Mark IV camera. Since, for some people, it is too heavy and large. The price tag set about $4,000 to $5,000. You may get cheaper price for EOS-1D Mark IV camera if you are patient enough to search it all over the stores online. The used ones can be a consideration too. As it is stated in the first place, the aim of this article is to provide the Canon EOS-1D Mark IV Manual. So, you can find the Canon EOS-1D Mark IV Manual in below attachment. There, there will be a lot of information obtained. The information related to the specification, operation, instruction, camera parts, and others will be perfectly stored. Therefore, for you who want to understand more about this camera product, referencing to below manual will be the great idea to do. The manual will be provided in PDF. So, before accessing it, it will be better if you download the PDF reader software first. That’s all of the information regarding to the Canon EOS-1D Mark IV Manual that we need to share. Hopefully, it could be so helpful for you in understanding this product better. And if you think this article is informative, you can share it in your personal page. Therefore, the information here can be spread in a wider range of audience. Lastly, whenever you have any opinion about this product, putting your thought in the comment seccion below will be much more contributive. Thank you.